It feels like we’ve reached an important milestone today as the first parts for the actual mountain going wheelchair arrived in the post. I appreciate it’s just a length of tube and a flange, but eventually this will hopefully become the part that connects the rocker and bogie (or if you haven’t been following along – it connects forks for the front wheels to the frame). I had devised some quite complex methods to connect the rocker and bogie which involved bearings and some complex configurations but it was getting really messy. If this basic flange method works then it will simplify things significantly. 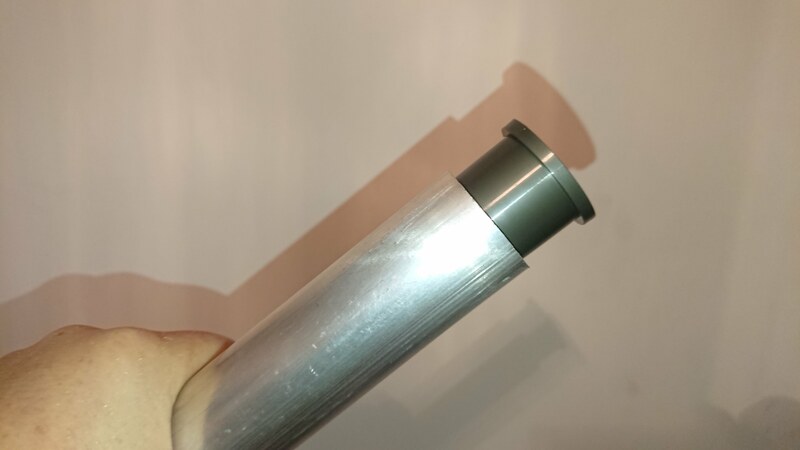 The flange in the picture is about 0.5mm too big for the alloy tube so I still need to shop around for a better fit, but it is nonetheless exciting to think that I might actually start building the real wheelchair!